Daydreaming, a Baseball Story, is now in hardcover! Great news today, "Daydreaming, a Baseball Story" has been accepted by IngramSpark Publishers/Printers and is being reintroduced as a HARDCOVER BOOK! I got the proof this week and it looks great. I love the feel of a hardcover book! This will open up a different world that includes brick and mortar bookstores, school and public libraries as well as the internet. Official launch will be April 6, 2019 at 3:00 at the Blue Umbrella Bookstore, Main St, north side of the green in Westfield, MA! were caught up in the intensity and the magic of the game. did transport me as well. Do you have a "Dreamer" who wonders how to make dreams come true? Come check out the introduction of "Icicle Dreams" and help them find out. 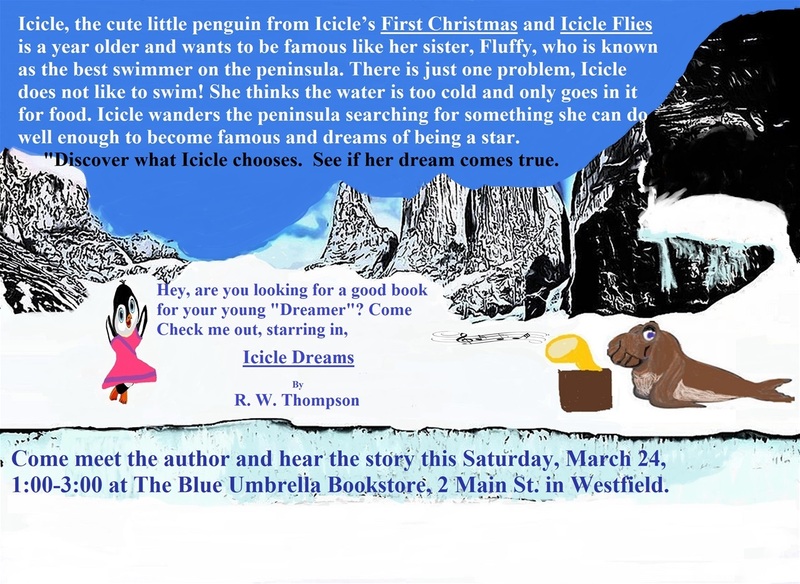 "Icicle Dreams", the third book in the Icicle Series will be officially launched this Saturday at the Blue Umbrella Bookstore at 1:00. Spring is here, so come on out and see what Icicle is up to after a long winter on the southern Argentine Peninsula! Details in the illustration above. 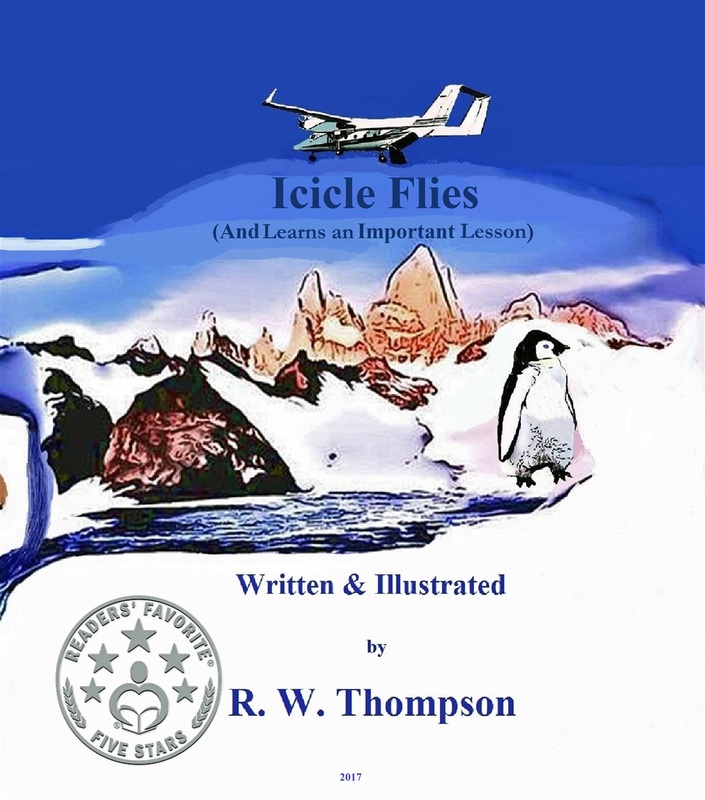 Readers' Favorite announces the review of the Children's Picture Book "Icicle Flies" by R W Thompson, currently available at http://www.amazon.com/gp/product/1542639743. Readers' Favorite is one of the largest book review and award sites on the Internet. They have earned the respect of renowned publishers like Random House, Simon & Schuster, and Harper Collins, and have received the "Best Websites for Authors" and "Honoring Excellence" awards from the Association of Independent Authors. They are also fully accredited by the BBB (A+ rating), which is a rarity among Book Review and Book Award Contest companies. 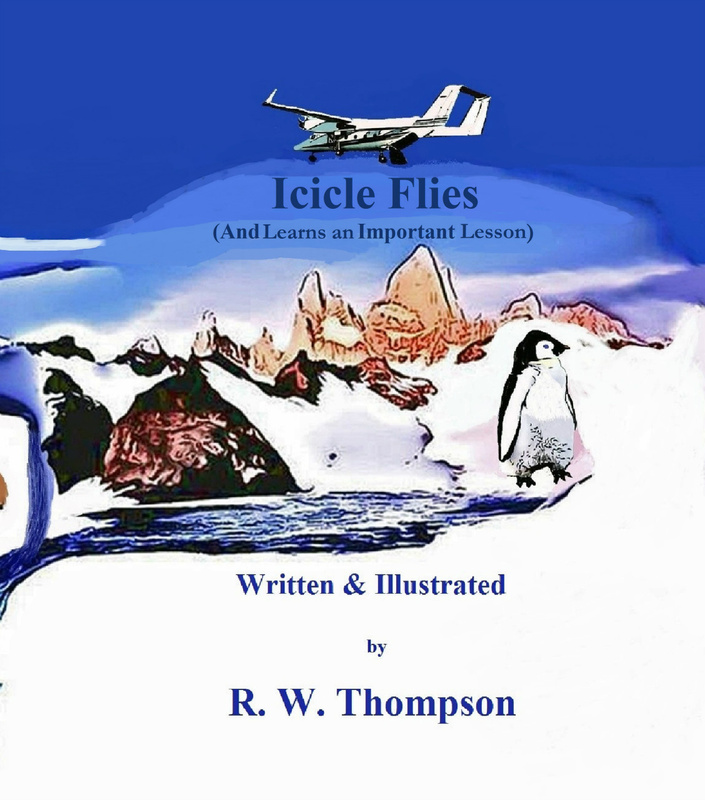 Icicle Flies (And Learns An Important Lesson) by R.W. Thompson revolves around Icicle, a young Emperor Penguin. Icicle wakes up one day after Christmas 2016 and sees that huge snowdrifts have formed because of the snowstorm the previous night. She wants to go out and play and her mother warns her to be careful and not to stray far. She meets her sister, Fluffy, and her friends on their way to the bay, and they invite Icicle to go with them for a swim. Icicle refuses to go with them and decides to go to the mountains instead. She wanders far away from home and forgets her mother’s warning. Will Icicle be able to find her way back home safely? Read the story to find out what happens to Icicle! The story has an interesting concept and conveys a good message to young readers. Icicle’s character is adorable and relatable. The illustrations with the snow as the backdrop give the story a surreal vibe and they also breathe life into the story and characters. It is a good bedtime story as it teaches children to listen to their parents and do what they say. The story is good for read aloud sessions too in classrooms and school libraries. It is the second book in the series Icicle’s Adventures, and the story speaks about the lessons that need to be learned. 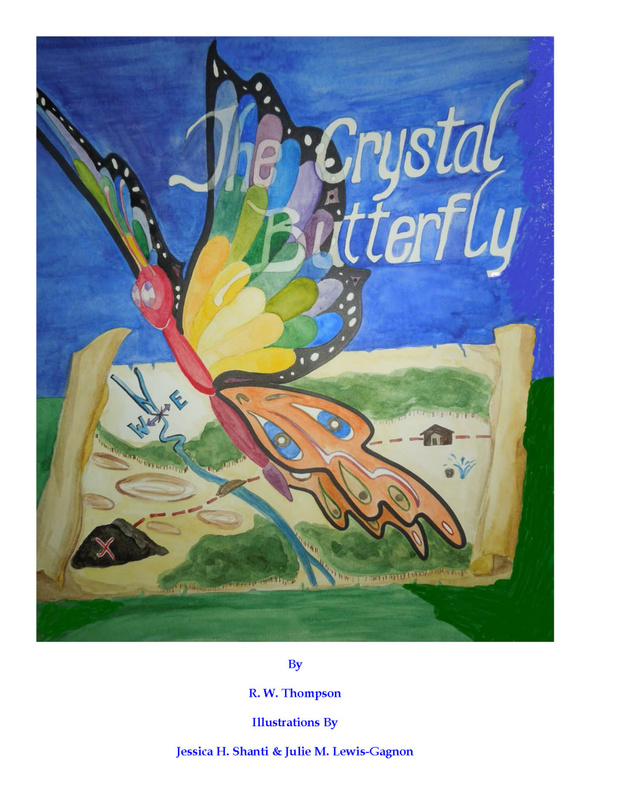 The author makes the lesson effective and interesting through the adventures of Icicle, and reaches out well to child readers with the message." 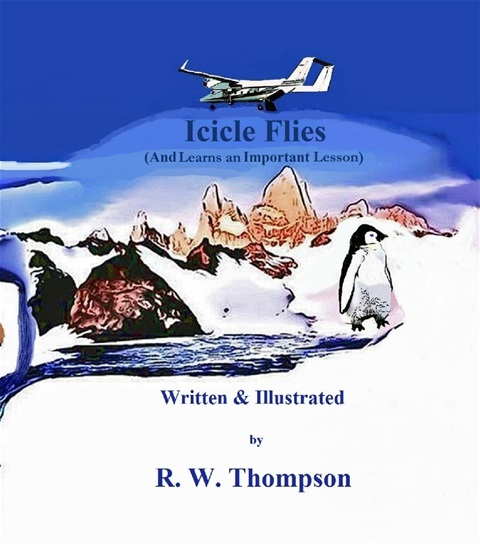 You can learn more about R W Thompson and "Icicle Flies" at https://readersfavorite.com/book-review/icicle-flies where you can read reviews and the author’s biography, as well as connect with the author directly or through their website and social media pages. There are links in the online store to purchase direct from Create Space Publishers e-store, or you may also purchase from www.amazon.com or www.barnesandnoble.com. There is also a link at the bottom of each book on this page. As humans, we are given many gifts, most of which we take for granted, like sight! What would you do if you lost yours? Crash! In the blink of an eye, Steven Jacobs’ life changes from being a children’s author to being unable to see his world. We can’t change what happens to us, but we can control how we react to it. Once Steven realizes this, his life changes. Will it be for better or worse? What gifts can he possibly have left? Read about the gift Steven gives and the precious gift he receives and how it changes his life. 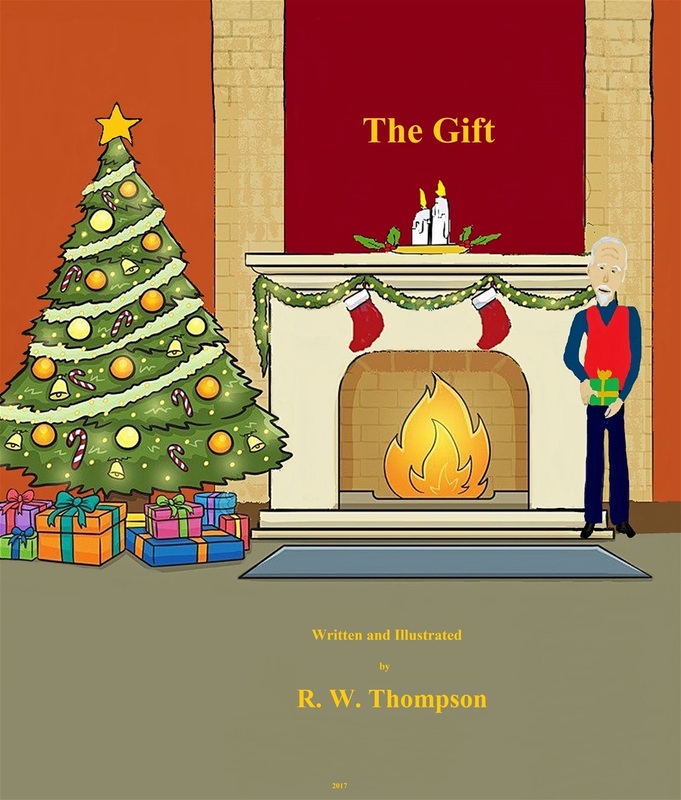 Create Space Publishing releases The Gift, written and illustrated by award winning author R. W. Thompson. ISBN: (9781979854085) Published December 1, 2017 by Create Space Publishing. Icicle is a young Emperor Penguin who lives on the southern tip of Argentina. In Icicle’s First Christmas, she was shy and had a problem to solve. Through perseverance and learning to communicate with others she managed to overcome her shyness and solve the problem. Now in Icicle Flies, she has become confident and made many friends. However, there are still lessons to be learned and one of the most important is to listen, particularly to her mother. Come see what happens when Icicle decides to go adventuring on her own, forgets what mother has told her, and what happens in the end! The official Launch will be Friday, February 24 at the Blue Umbrella Bookstore, 2 Main St, Westfield, MA from 10:00 A. M. to 1:00 P. M. This is the Friday of vacation week, so if you are looking for something to do with that preschooler through 3rd/4th grade, come on down to the party! If you purchase a copy before then, bring it down and I'll be happy to sign it for you! 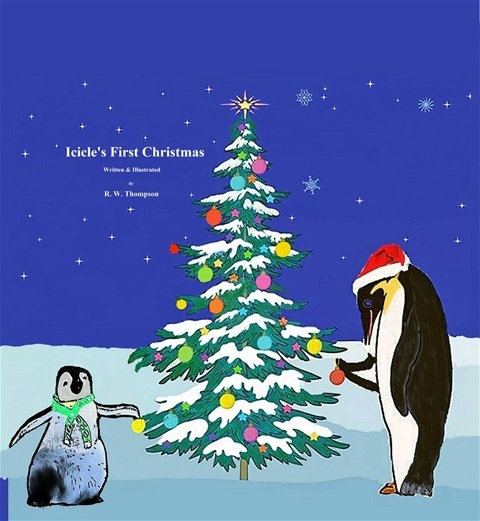 Icicle's First Christmas is complete and will be released to the public on December 2 on amazon.com and barnes&noble.com for 10.99. The official launch date is Saturday, Dec. 10, 2016 at the Blue Umbrella Bookshop located at 2 Main St., Westfield, MA. There will be a reading and refreshments starting at 11:00 and I will be there until 2:00 to answere questions, talk about writing and sign books. Icicle is a young Emperor Penguin who lives on the southern tip of Argentina. She is very shy and is about to experience her first Christmas with her colony. All the penguins create ornaments and decorations for the Celebration Tree on Christmas Night. Icicle does not know what to make. This is compounded by the fact that she must explain to the colony why she made the decoration. She does not know what to do until her mother tells her the story of the first Christmas. Come walk with Icicle as she travels around the peninsula trying to decide what to make and figure out how she can tell everyone how she feels about Christmas. Waddle the Penguin was not your usual penguin. He was born at a different time of the year than the other penguins, he did not like the cold, and he really enjoyed exploring by himself. He liked to surf on ice floes, dive deep in the water to fish, and go for long swims. He always wondered what was going on outside of his world. Then, one day, his life changed. A sudden summer storm hits Waddle’s home as he and a friend are riding an ice floe. They are separated and when the storm clears, Waddle finds himself alone in the middle of a very large ocean. What can he do? How will he get back home, and for that matter, which way is home? 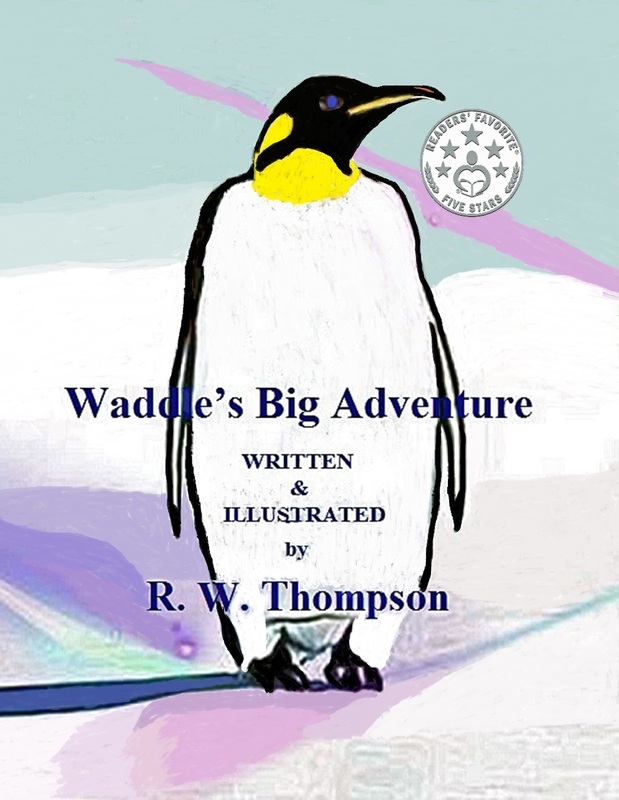 Come join Waddle as he sets off on an adventure that will take him from the shores of Antarctica all the way to Cape Cod, Massachusetts. Come meet the creatures he meets, as he learns to interact with all kinds of animals, including those who walk upright and speak a funny language. Join up for the adventure of a lifetime! 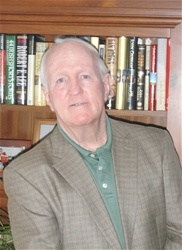 Book signing at Book Club & More, 2 Main St, Westfield on Friday, June 24th. See details on home page. 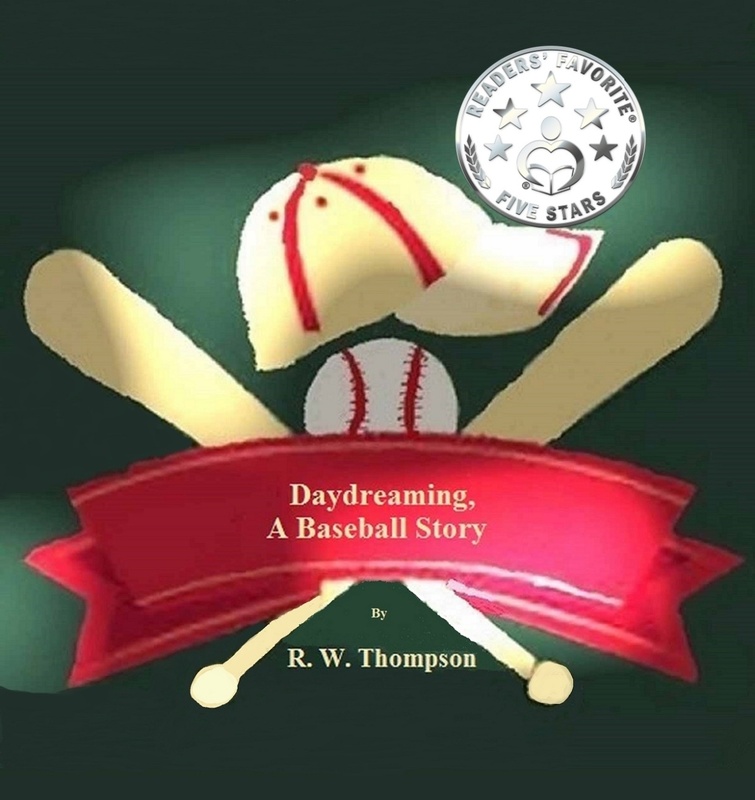 Daydreaming, a Baseball Story wins Readers' Favorite Silver Seal! BEING RELEASED FRIDAY APRIL 1, 2016 "Daydreaming, a Baseball Story"! For those who truly love the game, there is no beginning player, or former player, there are only players. Daydreaming, A Baseball Story is for everyone who loves the game, be they younger players who are crossing the white lines for the first time, or those of us that know we will not cross them again as an active player, but in our minds we are still capable of making a play or getting a key hit. It is a story that begins and ends in an older player’s head as he gets the opportunity to spend one more moment in the sun through the actions and dreams of two younger players. In watching their joy at being able to play such a perfect game there is the chance to once again feel the pop of a great pitch into your mitt, and the thrill of throwing that fastball by a great hitter. I hope as you read it, either to yourself or to someone special, you will find yourself as I did, being transported to a special diamond of your dreams. 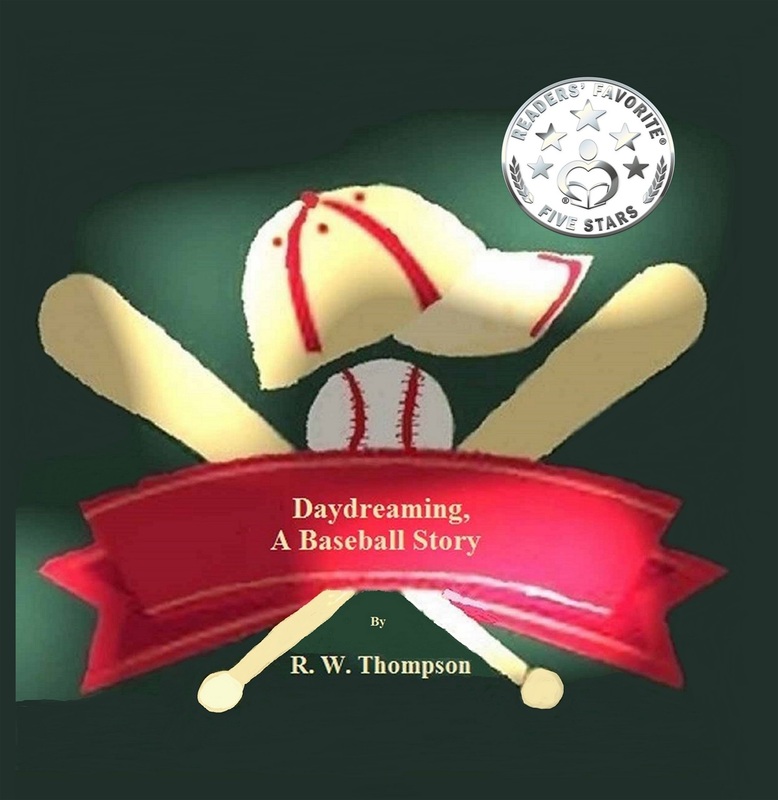 Daydreaming, a Baseball Story may be purchased at www.amazon.com or barnesandnoble.com. We hope to announce signings in the near future. Please check back to this page. My newest book, Mrs. 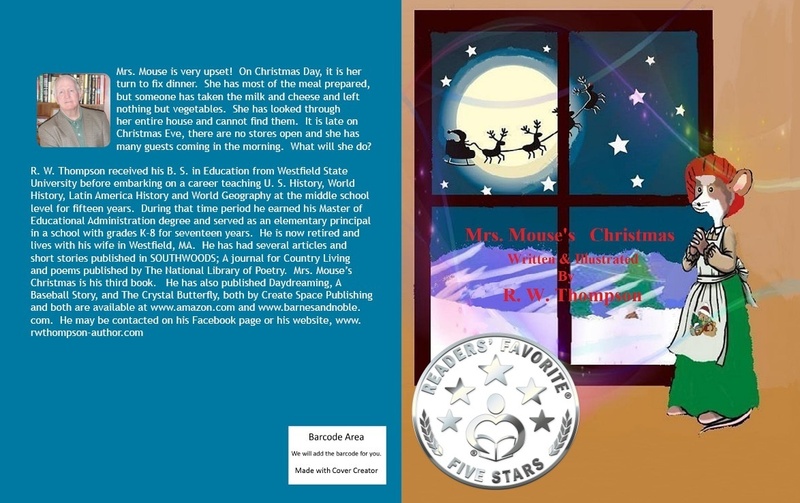 Mouse's Christmas is now available at www.amazon.com and www.barnesandnoble.com It is also available at the Create Space E-store at the following link, https://www.createspace.com/5864322. If you go to the e-store, be sure to type in the number at the end. That is the stock number for the book. Below is a quick summary and a few illustrations. The book is for ages 1-8. I hope to announce a signing date soon for those individuals who would like a signed copy. Mrs. Mouse is very upset! On Christmas Day, it is her turn to fix dinner. She has most of the meal prepared, but someone has taken the milk and cheese and left nothing but vegetables. She has looked through her entire house and cannot find them. It is late on Christmas Eve, there are no stores open and she has many guests coming in the morning. What will she do?